MAGNETIC GRAY METALLIC exterior and BLACK interior, LE trim. EPA 33 MPG Hwy/25 MPG City! Smart Device Integration, Onboard Communications System, ALL WEATHER LINER PACKAGE, ROOF RACK CROSS BARS, All Wheel Drive, iPod/MP3 Input CLICK ME! All Wheel Drive, Back-Up Camera, iPod/MP3 Input, Onboard Communications System, Smart Device Integration Rear Spoiler, MP3 Player, Privacy Glass, Keyless Entry, Child Safety Locks. ROOF RACK CROSS BARS, ALL WEATHER LINER PACKAGE Cargo Liner, All Weather Floor Liners. Toyota LE with MAGNETIC GRAY METALLIC exterior and BLACK interior features a 4 Cylinder Engine with 203 HP at 6600 RPM*. 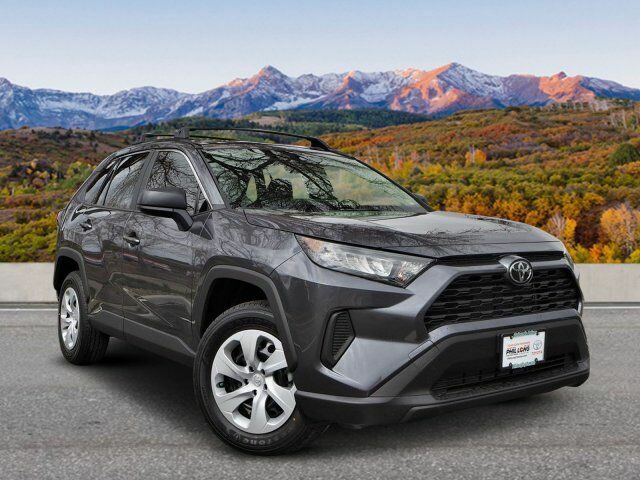 Lane Keeping Assist, Electronic Stability Control, Brake Assist, 4-Wheel ABS, 4-Wheel Disc Brakes, Tire Pressure Monitoring System Great Gas Mileage: 33 MPG Hwy. Welcome to Phil Long Toyota of Trinidad! 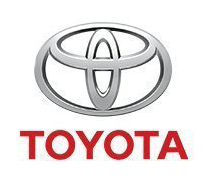 As your premier Trinidad Toyota dealer, we here at Phil Long Toyota of Trinidad provide for your every automotive need. Please feel free to explore our website to see our extensive inventory of new and used cars and SUVs. In addition to our friendly and knowledgeable sales staff, we also provide financing, service, and parts. Come visit us, give us a call, or contact us via this website and let us show you why our customers prefer Phil Long Toyota. *Prices do not include sales tax, finance charges, costs of emission tests, other governmental fees, or taxes and transportation costs incurred after sale, to deliver the vehicle to the purchaser at the purchaser's request. Vehicle pricing is subject to change without notice based on current manufacturer rebates and incentives and current vehicle market value. Contact dealer for most current information. Vehicle availability is subject to prior sale and system update. Used vehicle price includes $698.95 dealer handling fee. If a sale price or dealer discount is listed on a new vehicle, it includes the $698.95 dealer handling fee. New vehicles listed at MSRP less manufacturer rebates is a data point and does not include any dealer discounts or $698.95 dealer handling fee. See dealer for final sale price. Dealer is a Colorado licensed motor vehicle dealer offering new and pre-owned automotive vehicles for sale in Colorado and New Mexico. Vehicle pricing is in accordance and complies with Federal guidelines and the requirements of the states of Colorado and New Mexico. This offer is intended to solicit sales transactions in Colorado and New Mexico in accordance with federal and state guidelines for motor vehicle sales. Vehicle equipped options, driving conditions, driving habits, and vehicles condition. Mileage estimates may be derived from previous year model. Vehicle dealer installed options are at retail. Pricing is not applicable in conjunction with special manufacturer purchase programs. Pricing may or may not be combined with other manufacturer or dealer offers.